The "Arc" is Europe's richest race bringing together the classic winners from England, Ireland, France, Germany and Japan in one race. It is the highlight of the French racing calendar and is one of the most prestigious races in the world. The "Arc" takes place anually every first weekend in October at Longchamp Racecourse, perfectly located in the Bois de Boulogne in the heart of Paris. 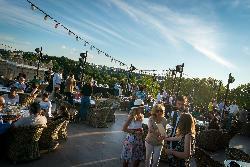 The Longchamp Arc weekend has a very special, unique atmosphere and is a wonderful way to end the social season. This excellent weekend of racing starts on the Saturday with a seven race card. The Prix de L'Arc de Triomphe is run on "Arc Sunday" and attracts the best middle distance horses from all over Europe for the coveted title. Sunday also includes 6 other supporting races including the Prix de l'Abbaye, one of Europe's premier sprint races. Longchamp has undergone a superb, major redevelopment and the new course is now ready once again for the Qatar Prix de l'Arc de Triomphe in October 2019. 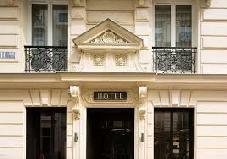 The superb 4 star Hotel Le 10 BIS is set in the popular 17th arr. District in Paris, 200 yards from Palais des Congr?s de Paris and only 4 km from Longchamp. Traditional exterior coupled with modern interior. Transfers are available upon request.? Each room comes with a flat-screen television and the Hotel Le 10 BIS features free WiFi throughout the property and the portable WiFi system can also be used outside the property on request at the reception. The Eiffel Tower is 1.4 miles from Hotel Le 10 BIS, while the Op?ra Garnier is 2.1 miles from the property. Paris - Orly Airport is 10.6 miles away. This 19th-century building with its striking fa?ade is the home of the Crowne Plaza Paris R?publique, a 4-star hotel situated on the Place de la R?publique. Guestrooms are spacious and contemporary in style. All rooms and suites are equipped with modern en suite facilities and include a flat-screen TV. 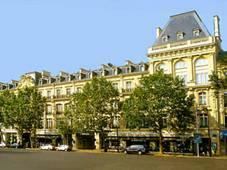 The Crowne Plaza Paris R?publique also features a restaurant and a bar. The restaurant serves traditional French cuisine while the bar offers a variety of drinks, cocktails and snacks. Guests can also relax in the club lounge with free beverages and snacks. Centrally located in one of Paris' most lively districts, the Crowne Plaza is an ideal base to discover the city of lights. It is just a few steps from a Metro stop and within walking distance of Canal Saint-Martin. There are a number of restaurants, caf?s and bars nearby. Dine in the elegant Brasserie Restaurant, situated in front of the Presentation Ring and then make your way to the Goldikova Lounge on the 3rd Floor of the Grandstand to enjoy a complimentary bar. 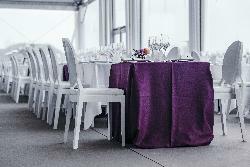 Watch the racing action from seats located next to the Goldikova Lounge. The Village Officiel is a superb trackside marquee with great views of the home straight. Located on the 4th floor of the newly refurbished Grandstand, this superb facility offers panoramic views of track and paddock. To further enhance your experience, you will also receive a reserved seat on a viewing terrace, directly outside your restaurant. There are numerous options - the Eurostar is incredibly convenient or we are able to provide bespoke options on small, private jets from any departure point in the UK. Other travel methods, such as scheduled air travel or even self-drive, are also all available.